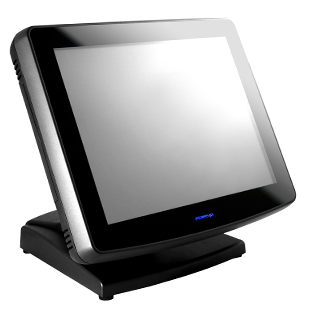 The JIVA KS-7700 series adopts up to Intel Core i5 CPU, RAID backup, and UPS functions with bezel-free touch screen in its streamlined and patent aluminium die casting enclosure. Accompanying with bezel-free design and slim base stand, the fashionable look conveys a sense of elegance and style. The built-in UPS function is embedded on main board developed by Posiflex for power backup. And the fanless structure boasts anti-dust and silent operating advantages to meet the requirements of harsh and quiet environments, respectively.